If you have a business and an online presence, you have to have a marketing strategy. Press releases should be an integral part of this strategy. But what is a press release? And why is it important, particularly when people have blogs, mobile internet and social media? A press release is a communication, usually written but it can also be recorded, where members of the mainstream media are told about something that is worthy of the news and media outlets reading. Once upon a time, only those who had established news and media contacts were able to do this, but that has all changed now as well. The media is evolving almost as quickly as the internet itself, which means sending out a press release is now much easier and quicker to do. Furthermore, advertising through press releases doesn’t just have to go through mainstream media anymore. Instead, there are various internet marketing techniques that work, and these allow companies to update their existing customers, as well as attract new customer. Best of all, anybody is able to use these tools, rather than just the lucky few who happen to know a journalist. Why Is a Press Release Important? 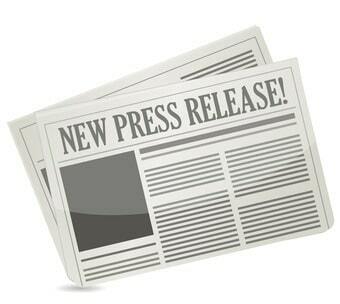 Press releases are particularly important for small to medium-sized businesses. This is because a press release potentially has a very wide reach, without the cost that would normally be associated with advertising in print. Online SEO marketing also has far greater results than traditional marketing, particularly when a press release is used. A good press release, nowadays, is written with an SEO perspective. This means it is rich in keywords, placed in appropriate places. The content has to be informative and up to date, which means that potential clients can really be impacted by the information. They have to be written not from the perspective of bringing out journalists to an event, but rather from the perspective of attracting a new customer to your product. Writing a press release is quite complex. It cannot sound like a sales pitch, since it is supposed to announce something newsworthy. Hence, it needs to contain a number of things to make it stand out from the crowd. This starts with a good heading, which should contain relevant keywords. In the text, you can place further keywords and phrases, which matters in terms of SEO. Targeted keywords should be anchored hyperlinks when appropriate, and these have to actually link back to your website. This is a great SEO technique that will help you increase your search engine rankings as well as attract traffic to you site by people actually clicking through the press release to your website. In other words, as some people find your press release and click on it, they are making sure that other people will find it easier to find you through Google. Last but not least, the recommendation is to add some form of multimedia, such as a video to the press release as well. In doing so, it becomes more pleasing to the eye, which is important for your customers. Added to this, it will link your image back the search engines, thereby once again increasing your ranking.